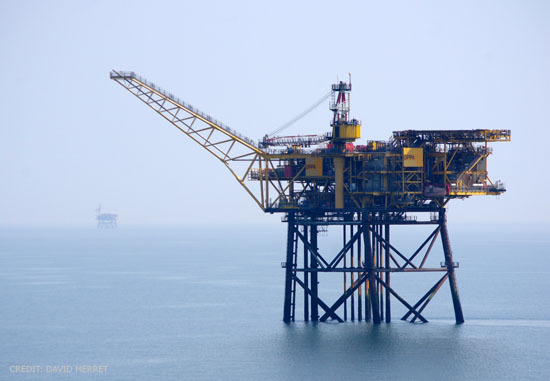 EMODnet Human Activities » News » How Many Offshore Oil and Gas Installations Are There in EU Waters? How Many Offshore Oil and Gas Installations Are There in EU Waters? At first, the question wouldn’t seem too complicated. You could just Google it and get your answer, right? Well, there may be more to it that meets the eye. As a result of uncoordinated data collection, no one knows exactly how many installations are in our seas. Oil and gas companies, individually, know how many platforms they operate, but they do not necessarily collect data on their competitors’ installations. By the same token, Member States know the number and status of installations in their waters, but have no idea what happens in other countries. Regional organisations such as OSPAR and HELCOM have done excellent work coordinating data collection in a number of domains, including offshore installations. We now know the number and status of installations in the OSPAR region and in the Baltic sea. Yet we have no idea how many installations we have in the Mediterranean Sea. This makes an excellent case for EMODnet. Two years ago, at Human Activities, we convinced ourselves that there was a wealth of GIS data on offshore exploration and extraction of oil and gas in the EU, although it was scattered across a multitude of sources and websites. It would take weeks for an expert user to scope all existing sources, not to mention to interpret datasets that used different coordinate systems, languages, units of measurement, and didn’t have common attributes. So, we spent weeks looking for data. We started with oil and gas boreholes. We downloaded all available datasets from official sources at national level, and analysed them in view of creating a common data model based on the lowest common denominator. Once we had a data model, we harmonised all the different boreholes datasets and obtained a single dataset in a single language, with a single coordinate system and the same attributes, and we put it online. The dataset on boreholes was received favourably by users. So, we thought we could replicate our experiment with oil and gas platforms (installations) and licences. As a result, on Human Activities users can now access datasets on offshore oil and gas boreholes, installations and licences that cover the whole EU, all under the data theme ‘Hydrocarbon extraction’. It’s been one of the most downloaded themes since we went live with our portal, with oil and gas companies, ministries, research and environmental organisations regularly using it. If we share our data and make it interoperable, we can increase its added value enormously. We didn’t collect any new data; we simply tried to make the most from what was already available. To put it differently, we did once and for all what several people had to do individually when they needed data on hydrocarbon extraction. Harmonising data and making it available through EMODnet is thus saving people time and money. Plus, it is finally possible to answer the question ‘How many offshore oil and gas installations are there in EU waters?’. 3 Responses to "How Many Offshore Oil and Gas Installations Are There in EU Waters?" This is indeed a difficult question and congratulations on putting the effort into harmonising the data. There are two other approaches that could be used to augment this data. The first approach was the one taken at the Blue Hub of the JRC and that was to look at shipping movements using AIS, by doing this the offshore facilities were identified as hotpots. While this approach is effective it requires considerable computing infrastructure and effort. Plus it really only identifies active facilities. The second approach is to use Sentinel-1 SAR images. Metal objects at sea appear as strong reflections in the RADAR images. A much cheaper approach. I think that in future a combination of a number of approaches will be the solution, this of course will be possible as data sharing harmonisation improves. Hi Conor, thanks for your comment. We had a meeting with the people involved in the Blue Hub back in July last year. There is scope for cooperation between the two initiatives, but it turns out that for the moment we cannot be granted access to AIS data. The second approach you mention is indeed quite interesting. It can be used to identify several other objects at sea, including aquaculture cages (someone actually did that by using Google Earth! http://www.ncbi.nlm.nih.gov/pmc/articles/PMC3275594/). We’d like to to try out this method in the coming months. Hi Alessandro, the second approach is certainly interesting, the link below is a first attempt I made searching for windfarms in the English Channel using Sentinel-1 archive on Google Earth Engine. It took less than a minute to process (it would have taken hours on my PC), which gave me the opportunity to iterate and develop a better algorithm. In terms of geo-data science we certainly live in exciting times!